Length: 12 hrs. 5 min. Astounding stories of answered prayer from the frontiers of contemporary faith. You were created to walk and talk with the living God. Prayer is the most natural, powerful, and universal expression of Christian faith. Why then is it sometimes so difficult? Continuing the adventures described in his best-selling memoir, Red Moon Rising, Pete Greig reveals the struggles, miracles, and hard-won insights gleaned from fifteen years of 24-7 prayer, mission, and justice. 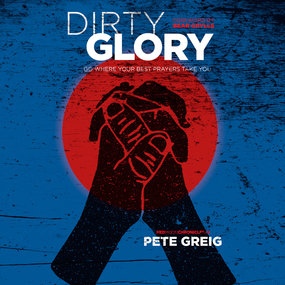 Dirty Glory will ignite fresh passion in your soul, inspiring you to pray and equipping you to convey God’s glory in a dirty world.